Neil Lennon says the English Championship club told the media of their move for the defender. 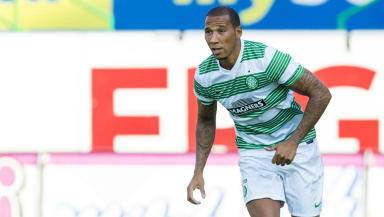 Neil Lennon has accused Nottingham Forest of leaking news that they had bid for Celtic defender Kelvin Wilson. The former Forest man was subject to an offer from the English Championship side on Friday, with news emerging through local media. Celtic have knocked back the bid to take Wilson back down south and the Parkhead boss says he doesn't want to lose the 27-year-old. "A bid came in on Friday and they leaked it to the BBC 20 minutes later, which we weren't delighted about," Lennon told several newspapers. "It’s as you were unless they come back or another club comes in. "But he is our player, we like him. He had a good season last year so we do not want to sell. 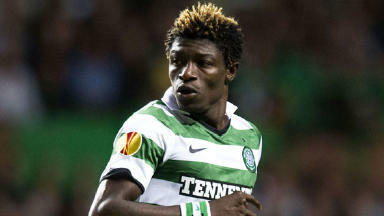 "He was really consistent for us last year, particularly in Europe. I’m just going to speak to him regarding the situation now." Wilson has established himself as a first choice centre-back for Neil Lennon's side and started the 3-0 win over Cliftonville in the Champions League second qualifying round last Wednesday. The 27-year-old recently admitted he found it difficult to adjust to life in Glasgow after making the switch, saying he had to contend with feeling lonely after leaving his family behind in Nottingham. "It definitely took me six months at least to settle in Glasgow," he told the Daily Record. "Not just on the field but off it as well. "I had been in Nottingham for most of my career and it took a while to get used to living in a new city. "If I was at home in Nottingham I would just pop out to my mum’s or round to a mate’s. But when I first arrived at Celtic it was a case of work then look at four walls all day. "In terms of questioning whether I’d made the right move, it wasn't so much a professional concern – it was a personal thing. "It was a case of, 'Was I right to move away from home?' But thankfully it has worked out well." 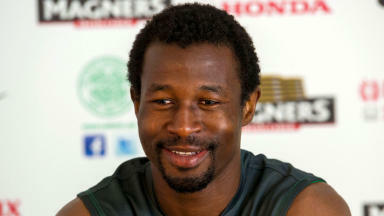 Wilson has made 72 appearances for Celtic, having left Forest in 2011 after four years with the club. He played 136 times for Billy Davies' men but found himself frozen out after it was announced he had signed a pre-contract agreement with Celtic. Wilson also played with Notts County and Preston North End earlier in his career.